I was so relieved to hear that the Urban Showhouse would be open again this weekend since I was out of town the last time around. 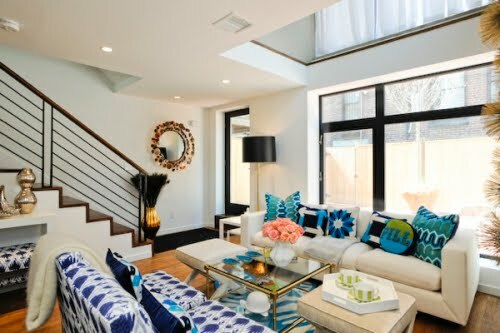 The four-story loft space has been decked out by the likes of Jonathan Adler and other design stars to benefit the Pine Street Inn. Tickets are available at the door for $10 today and Friday, $20 on Saturday and Sunday. And the house is on the market, too. You know, in case you've got $2 mil just burning a hole in your pocket. Yeah, I know it's last minute - sorry. But if you're in the area, you should stop by Madewell for 20% off all jeans, free hemming and sweet treats. (Oooh, I hope that means cupcakes!) And I don't know what a Madwell manicure is, but those are free too. Vessel is, sadly, closing up its retail location, but at least there's a blowout sale to go along with the bead news. I can't seem to figure out when the doors will actually close for good, but until then, everything in the modern home goods store is up to 50% off.